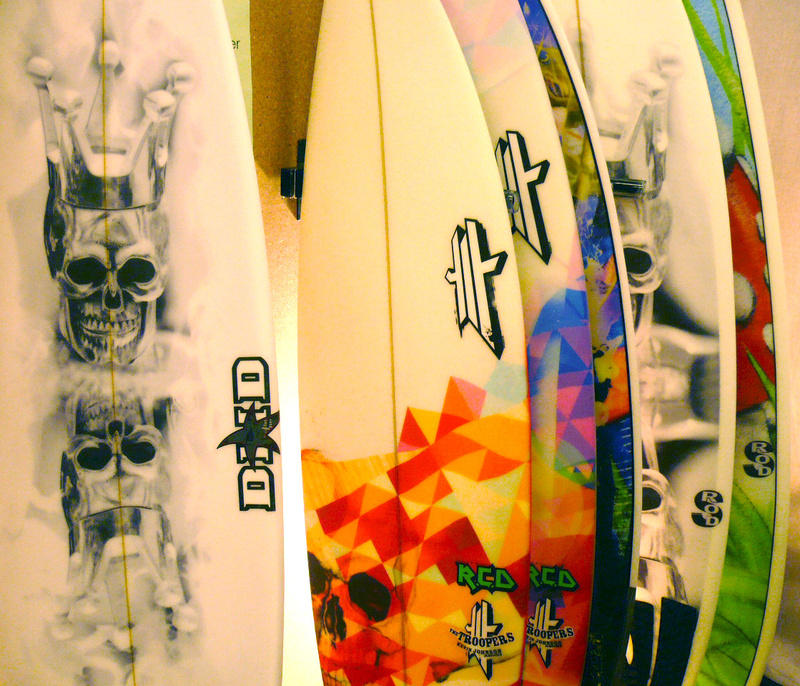 Surf Designs is a customization surfboard service. You can choose a shape and choose a graphic in our library or send us your own file. Thanks to our knowhow (and our patented process), you can free your mind and customize your shapes and designs without limits ! "With Surf-Designs, you take advantage of the best shapers shapes. We customize the templates with 3D modeling, and we use digital printing for the graphics. That enables to combine performance and style !"